The boys from Portland are back with their eighth album, All Across This Land, a tribute to all music Americana. Singer/songwriter/instrumentalist galore Eric Earley mused, “(this album) is a return to a more “classic” Blitzen Trapper thing, for sure.” If you loved Furr or American Goldwing, then go buy this now in your preferred format. Your favorite classic rocker’s influence can be heard on every track on this album. To be fair, any album that is within sniffing distance of the genre alt/country/folk will seem to be derivative of Dylan, because hello, Dylan. The tracks “Love Grow Cold” and “Across the River” showcase Dylan’s style of quotable lyrics and ear worm choruses to a level that suggests a small and tasteful alter has been put to good use. “Rock and Roll” sounds like a lost Tom Petty B-side, so much so that we googled just to make sure it wasn’t. Lynyrd Skynyrd, The Boss, and too many country guitar masters to name check are represented somewhere in the stories flowing in the lyrics. A string section even manages to show up in “Let the Cards Fall” and not sound completely lost. 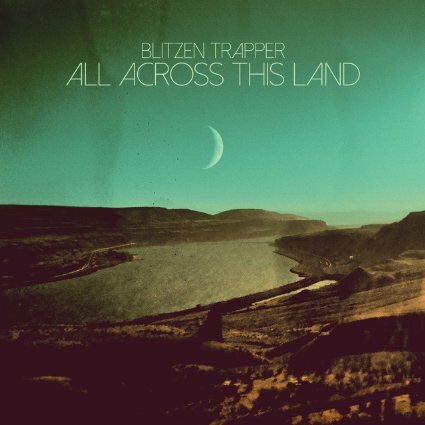 We are sure that the more arcane pieces of Americana music homage Blitzen Trapper missed, will show up on the next album. Because with a quintet this skilled, we know that it is coming.